Many of you reading this will be planning a wedding, but how many couples plan their marriage? Do we give enough thought to how we live happily ever after, whilst coping with inerfereing inlaws, tight finances, stressful jobs and mundane chores. "Every marriage has its ups and downs, but there are skills that can be learnt and habits that can be put in place that will help you to build strong foundations for your life together. Taking time out to discuss some of these things, even for just a few hours, can help make a marriage stronger and more fulfilling." Marriage by Design was developed by Care for the Family, a leading UK family charity. Each session is research based and has been developed to focus on the key areas that strengthen couple relationships. Couples can choose to attend a day or purchase a DVD. You can see a taster of the DVD here. The next day course runs in Bath on the 22nd September. Goldney Hall recently hosted a wedding fair with a vintage twist in association with Auntie's Vintage. There was a great range of top suppliers on hand in both the main house and the stunning light and airy Orangery. Couples had the opporunity to look around the venue and the gorgeous grounds featuring an ornamental canal with bubbling fountain, the stunning tower and the intruiging shell lined grotto. Music was provided by 1940s musical trio, The Marionettes who serenaded visitors on a special stage set up overlooking the fountain and grounds. Other exhibitors included wedding stylist, The Little Wedding Helper, accesory boutique Bridezillas Ltd, photograher Lizzy May, cakes by Chocolate Delores, crockery by Aunties Vintage and venue caterers Fosters Events. 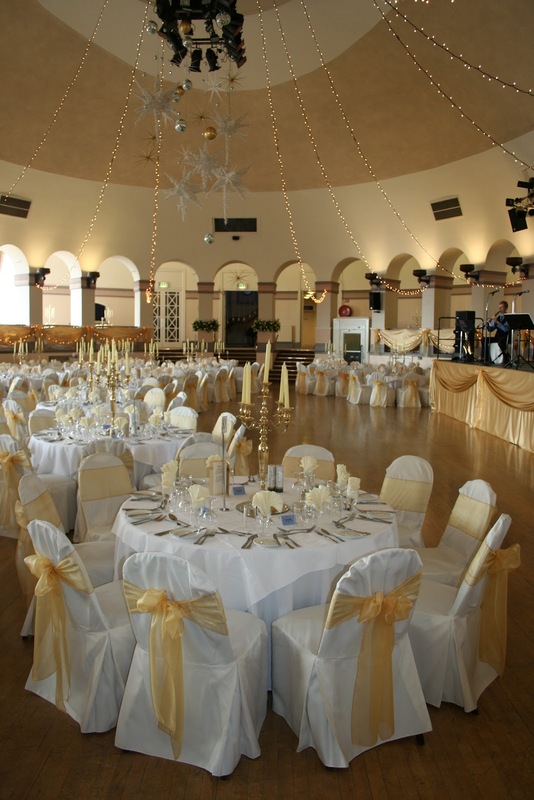 One of the south west’s grandest wedding venues is expecting huge crowds for its Autumn Wedding Exhibition. The Winter Gardens in Weston-super-Mare will open its doors on September 23, to showcase its grand ballroom and vast wedding facilities. 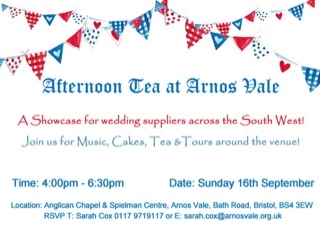 Top south west bridal firms will be in attendance offering brides-to-be a chance to see what their special days could include. Tours will be conducted on the day for this much sought-after venue and a fashion show with a twist will be provided by So Gorgeous Bridal Wear with make up by Tracy Pallari. Guests will also get a surprise performance from the Bravo Singing Waiters and witness aerial entertainment by Flight of Fancy and hear flutist Katherine Maleham. The first 100 guests will receive goodie bags and everyone will receive complimentary drinks and canapés on arrival, as well as exclusive discounts on the day. Peter Undery, general manager, said: “We have a fabulous venue on offer which appeals to both traditional and cultural weddings.This event gives brides-to-be a chance to tour our grand ballroom and help couples plan their big day with an extensive range of top wedding exhibitors in attendance. 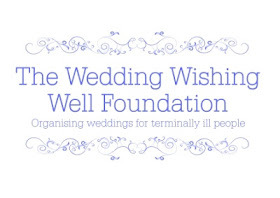 Come and see the rooms set up, tour the exhibition and meet the experts who can help you plan your special day, as well as taking part in our charity raffle." Le Soiree des Filles (that's "girls night out", if your GCSE French is letting you down) will be taking place at the iconic Holburne Museum in Bath on Thursday 20th September. Doors open at 6:30pm and the event runs until 9pm. Guests will be greeted on the evening with a beautiful hand illustrated map of the venue so that they can plan their own bespoke programme of consultations and demos throughout the evening. Set in the stunning surroundings of the museum’s glass atrium and the beautifully classic gallery space, bride-to-be’s will have access to some of the South West’s leading independent wedding experts who will be on hand with tailor made advice. The line up includes floral demos from the Tallulah Rose flower school (shown above), bespoke stationery from Meticulous Ink and exquisite bridal dresses from The Mews, Clifton to heavenly patisserie from Cinnamon Toast and bridal hair by Melanie Giles as well as wine tastings, book signings and live music. Bride Electric will also be live blogging as the evening unfolds and streaming the highlights of the event via Facebook and Twitter. There is free admission and free parking. There are lots of big wedding fairs taking place this month. Take a look below to get inspiration for your own big day. Love Actually The Grand Thistle Hotel, Broad Street, Bristol: Sunday 2nd September 2012. 11:30am to 4pm. Free Admission. fee of £1 which is donated to breast cancer UK.